I choose Samahope Challenge.Samahope is a platform for Doctors in developing countries to provide critical life saving surgeries. 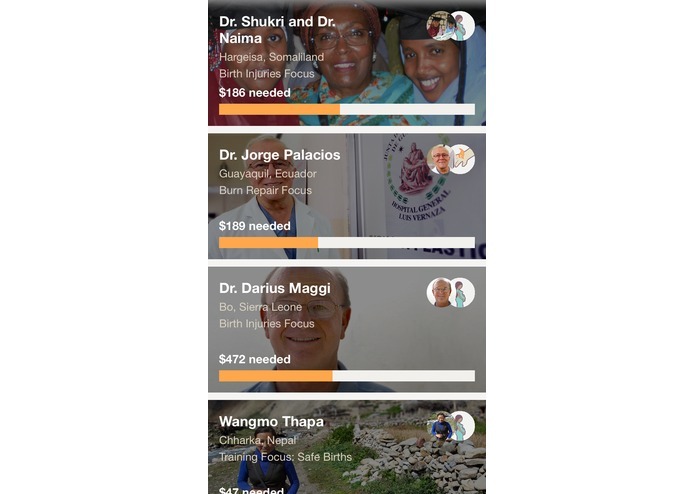 With this iOS app, donators can easily donate to the doctor to help them saving surgeries for patients in need. 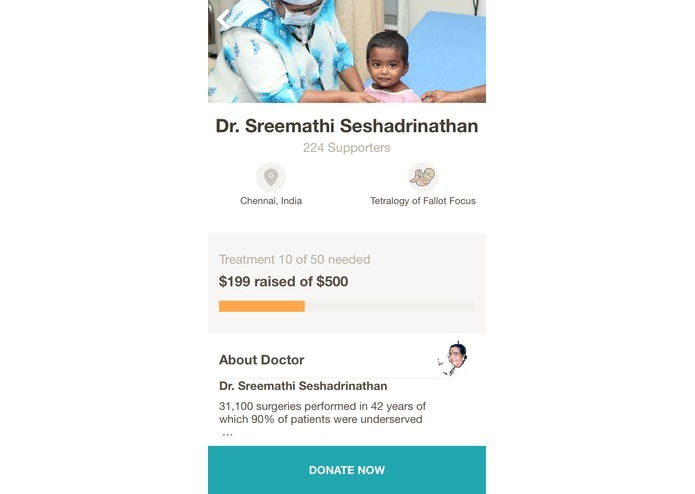 I built an iOS app to connect donators and doctors. with the simple, clean but gorgeous UI and full functions. Here, you can see the doctor’s information in a card view. It has the doctor’s name location, treatment focus and the money needed. Clicking on the card, you can see the detail information of the doctor, including his biology, the detail of treatment and patient stories. You can click on the donate button and jump into donate view page. You can donate with $10, 25 or the treatment needed. I built it with both swift and object-c, parse. I use the python scrappy to acquire the data from samahope website. I am proud of doing something for Non-profit Organization. Adding more function and features to support live event and offline event.